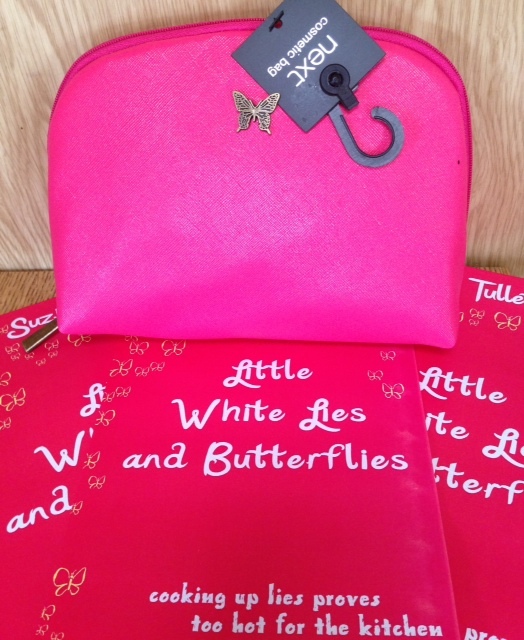 Little White Lies and Butterflies Virtual Launch Party! Well, everyone, today’s the day! August 1st 2013 marks the official release of Little White Lies and Butterflies brought to you by yours truly together with Safkhet Publishing. I’m so excited you wouldn’t believe and to celebrate, we’re having a virtual launch party. Like all good parties, we have fun, frivolity and prizes. 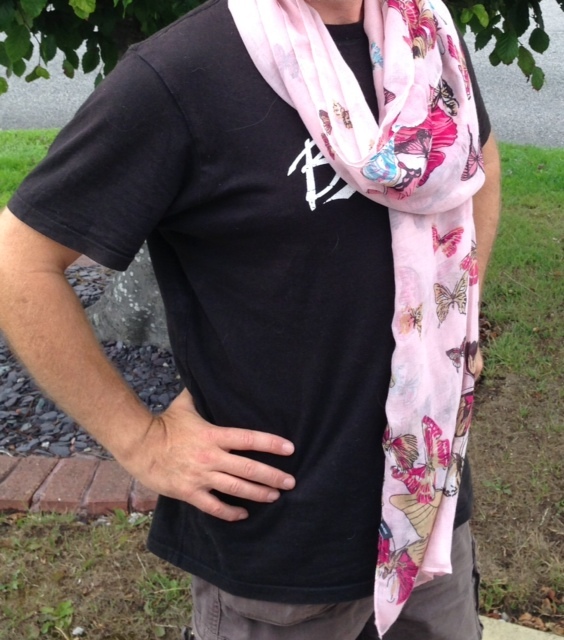 Modelling the next prize is my unusually camera shy other half – a lovely butterfly scarf to perk up any outfit. I know, he’s usually first in front of the lens! 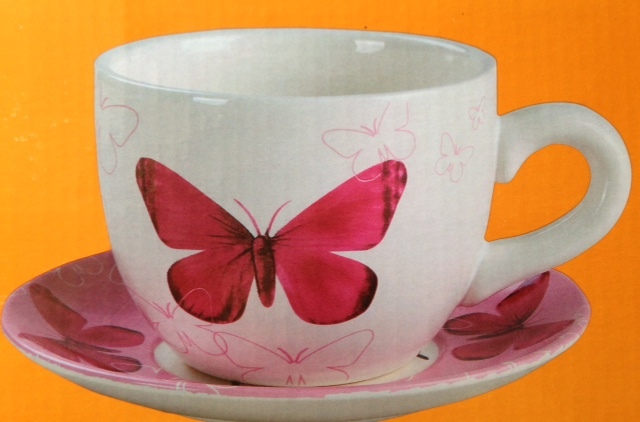 Now for the third prize of the day – a lovely ceramic butterfly planter. 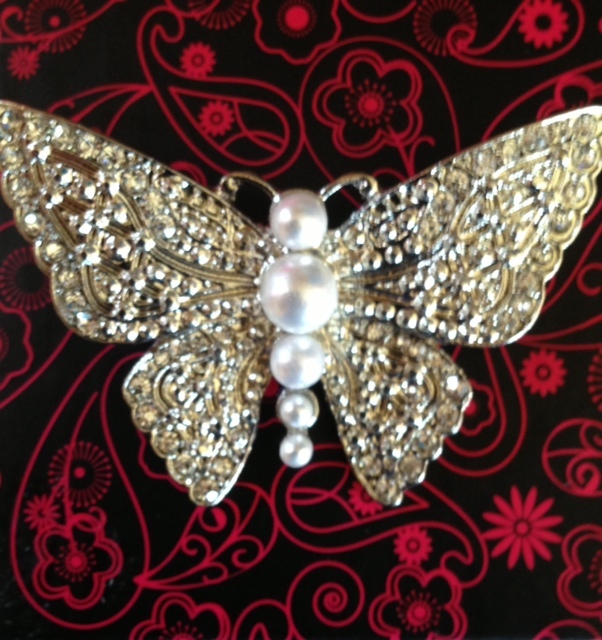 To get things going, here’s your chance to win this beautiful Butterfly Brooch. Leave your answers here in a comment and winners will be drawn from a hat. Not that the fun stops there, of course, as there’ll be prizes on offer throughout the day! Hi , congratulations on launch day . Oh and got the book yesterday…on the TBR pile which is growing so high I shall need a ladder soon….but I shall read it and let you know…. My second try but with the same answer! b) Dodecanese Islands, south of Kos. Looks like where I left my first answer! Stifado for the second… NOW! … Where is the Champoo Prize??? The next answer for the cosmetic bag is a) Stifado. Be great for one of my girls. Answer to Q2 a) Stifado – a traditional beef dish – a stew, though I’ve heard of other meats being used like chicken, rabbit and lamb. Mmmmm, delicious! Q 1 A Stifado, Bills favourite dish. Q 2 B Dodecanese. The Beutiful Island of Kalymnos. The Greek dish is a) Stifado and the group of islands Kalymnos belongs to is B) Dodecanese. Ooh, so many lovely prizes! Well, ie say c) sponge-diving, and even though it sounds rude, a) stifado and b) Dodecanese! Sponge Diving… Reminds me of the miserable git that comes over to Kos most days… Doesn’t speak a word of English, and insults the tourists with a filthy mouth… He should realise that some tourists speak Greek!!! I’ve only dived the once, just for a practice before we celebrated our Coral wedding anniversary on Fialhohi in the Maldives. Loved the reef with it’s thrilling and diverse variety of exotic marine species, abundant colour and warm sea temperatures. Perhaps I’ll attempt sponge diving one day! I just like it here…! Well, if she’s ‘a child of the nineties’, the others have to be wrong. She’ll be approaching a) 21, unless my Maths is wrong or I’m following a red-herring! Popping in to answer a question . . . her 30th birthday.